Undergraduate Computer Networking II CS 4251, Fall 2002, Fall 2003, Fall 2005, Spring 2006. 2006 and 2008 IBM Faculty Awards for making fundamental contributions to the development of system/network performance evaluation methodologies such as new data streaming algorithms and large deviation techniques. 2006 College of Computing Oustanding Junior Faculty Research Award. Thesis advisor of the student winners, and co-author of the paper that won the Best Student Paper Award from ACM Sigmetrics 2004/IFIP Performance 2004. NSF CAREER Award for my proposal "Fundamental Lower Bound and Tradeoff Problems in Networking". 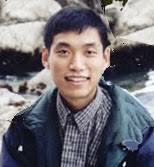 Ameritech fellowship for outstanding research in telecommunications, September 1999 - August 2000.